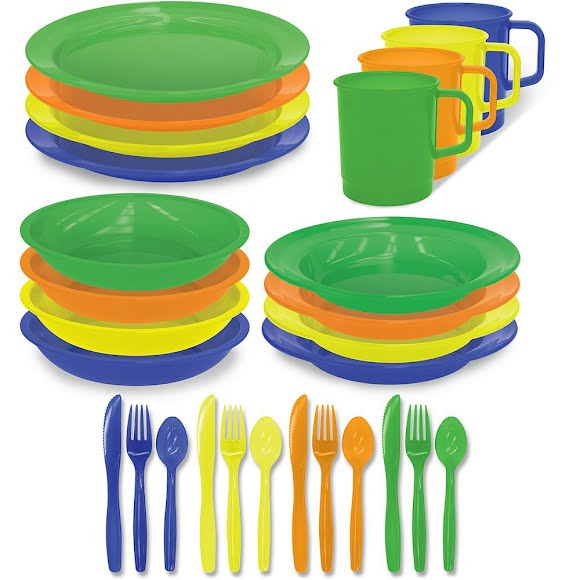 Stansport 4 Person Picnic Set includes 1 each of the following in green, blue, orange and yellow: 9-Inch plate, salad plate, bowl, mug, knife, fork and spoon. Perfect for a backyard picnic or camping trip. Great fun colors!